“Teamwork and intelligence win championship” used to say Michael Jordan, the greatest basketball player of all time. These words embody the spirit that inspired the 5th TOP 12 Championship Day, held at the Espace Saint-Antoine arena last Saturday, 19th January 2019. 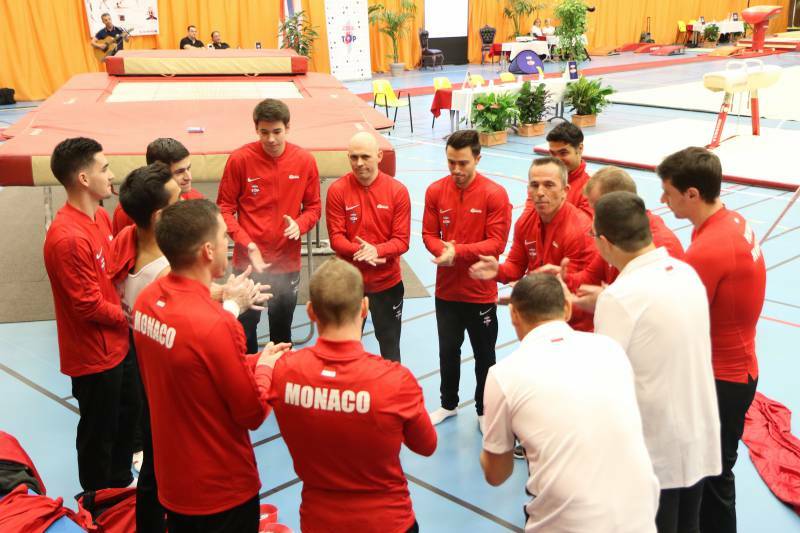 That day will remain a memorable date for the Monegasque “Étoile de Monaco”, the oldest Gym Sport Club in Monaco founded in 1890 and chaired by Dominique Bertolotto. The talented Monegasque athletes were awarded the match scoring 29 vs 19 against the skilled “La Sottevillaise” team, current vice-champions in the French tournament. That result allows them to go directly to the Semi-finals. What a great performance before such an enthusiastic audience presided over by H.S.H. the Prince Sovereign. A severe training made of: strength, coordination, discipline, self-control, team spirit and mutual respect always pays back! It has never been so true. 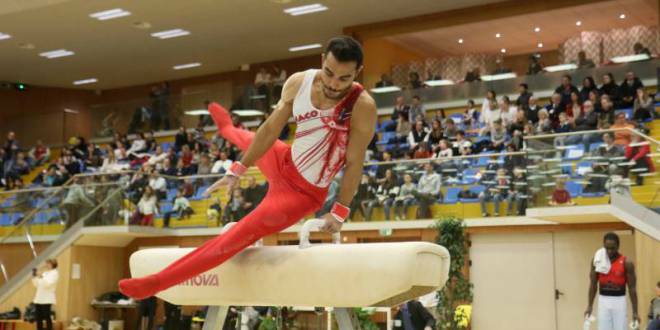 The Étoile de Monaco, accredited both at the French and Monegasque Federations and sponsored by the Olympic award-winning gymnast Hamilton Sabot, has a long tradition of successful achievements and represents the Principality at major international contests. 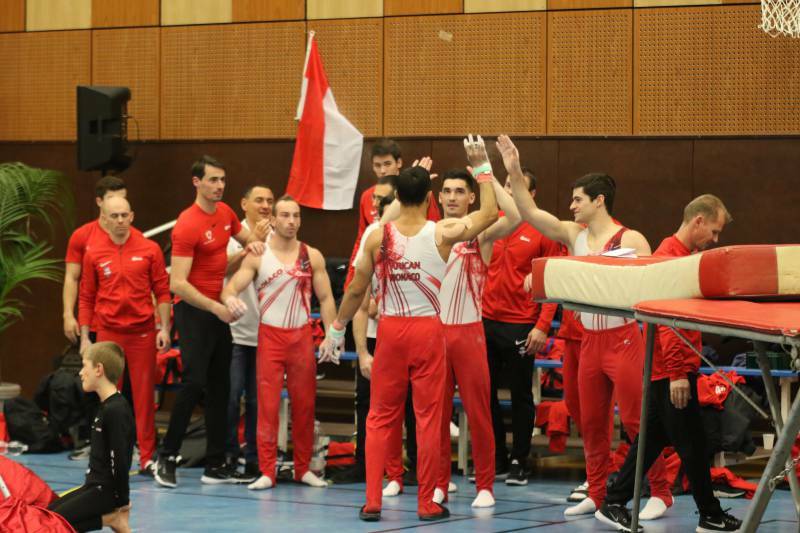 Every year (from November to March), the TOP 12 playoff championship, accredited by the Fédération Française de Gymnastique, gathers the best 12 Gymnastics teams of the last season playing 4 races involving 3 teams each. 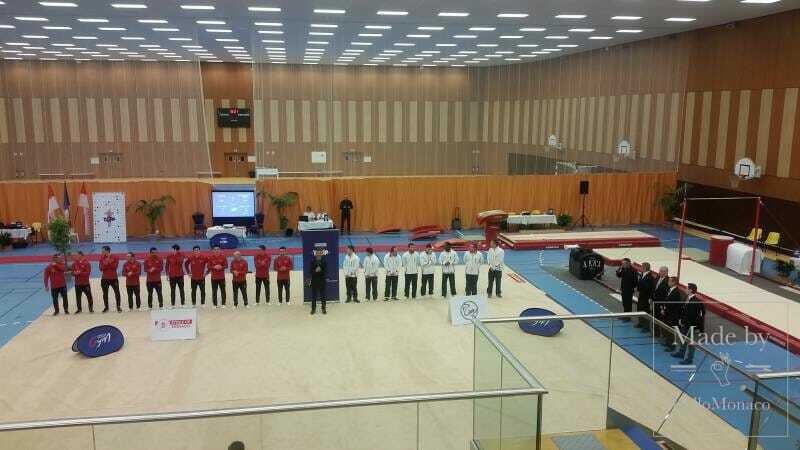 The best performing teams resulting from one-on-one competitions will pass to the next step through qualifications, semi-finals and finals determining the Champion de France TOP 12 podium, the second and the third position under the watchful eyes of illustrious referees. 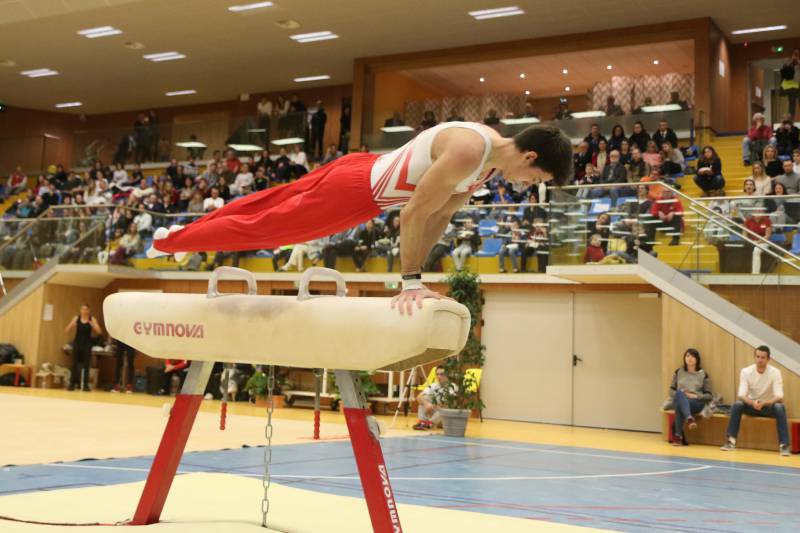 Last Saturday, the Monegasque and French team have fairly competed on the traditional disciplines: vault, pommel horse and horizontal bar, showing a great sense of physical resilience and remarkable skillful outcomes on both sides. Each exercise defies gravity against any imbalance and involves every muscle in athlete’s bodies. 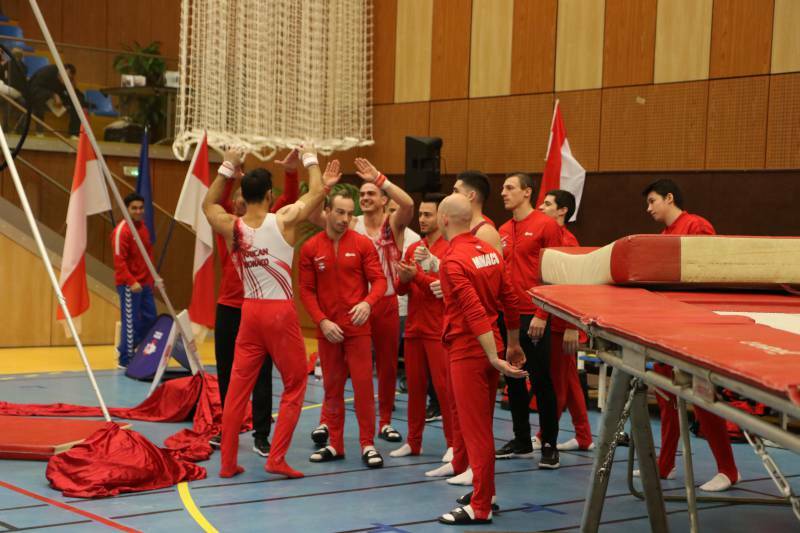 The audience’s attention was caught for over-2-hour supporting their preferred athletes by flying the most popular red & white Monegasque flag in a family-friendly atmosphere. 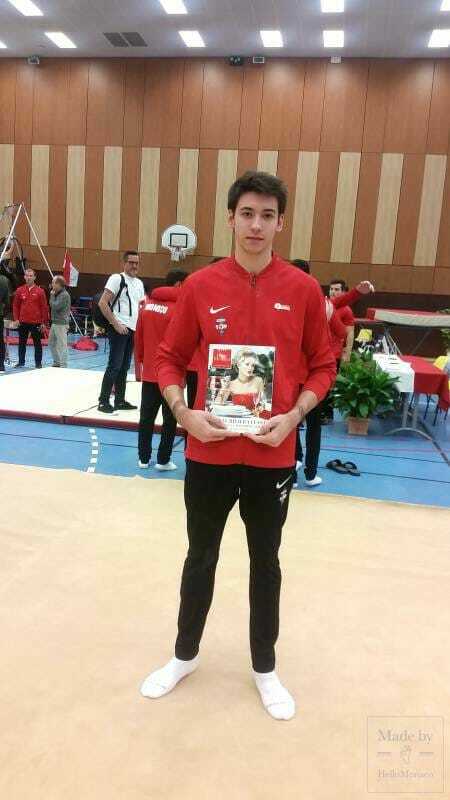 In particular, Julien Gobaux got a great ovation being awarded the highest rating in every match, followed by Ferhat Arican who won 9 races out of a total of 12. 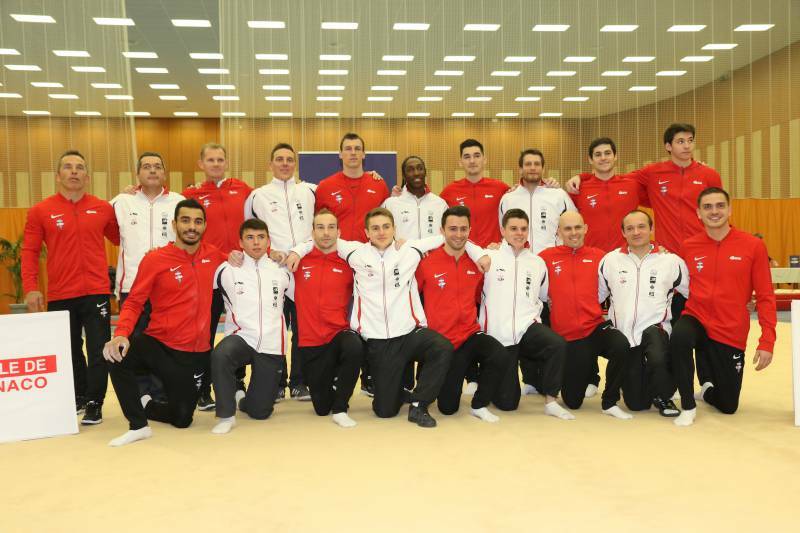 A great effort, supported by the coaches Thierry Aymes and Sebastien Guizol. 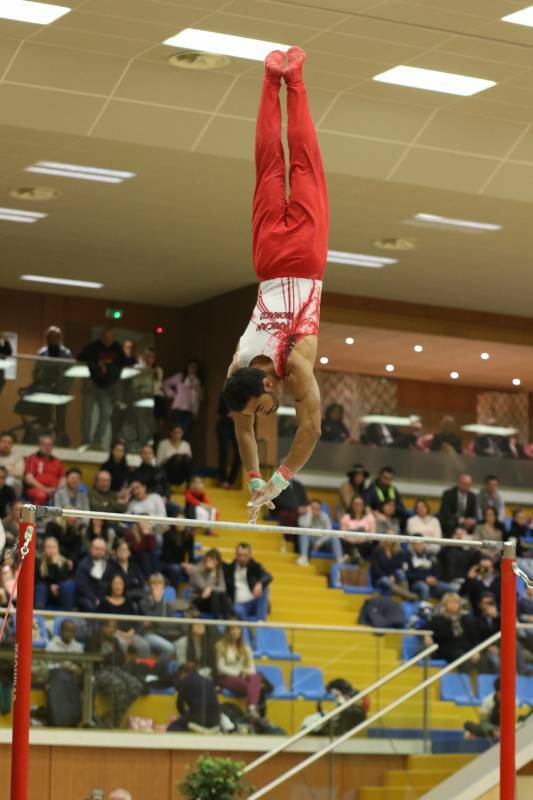 The Sottevillaise best performers were paid tribute in the best sport tradition with a special mention to Cameron-Lie, Arnaud and Victor, all encouraged by Frantz Gaillard and Romain Lecoq, their team coaches. What were, then, the initial thoughts of Thierry Aymes (T.A.)? HelloMonaco asked him straight after the match. HelloMonaco: Coach Aymes, how do you feel about this successful sport test? T.A. : I am fully satisfied with the whole team and proud of their achievements within this club. I am also happy about the “backstage” considering that there are plenty of talented new arrivals joining the “Étoile de Monaco”. 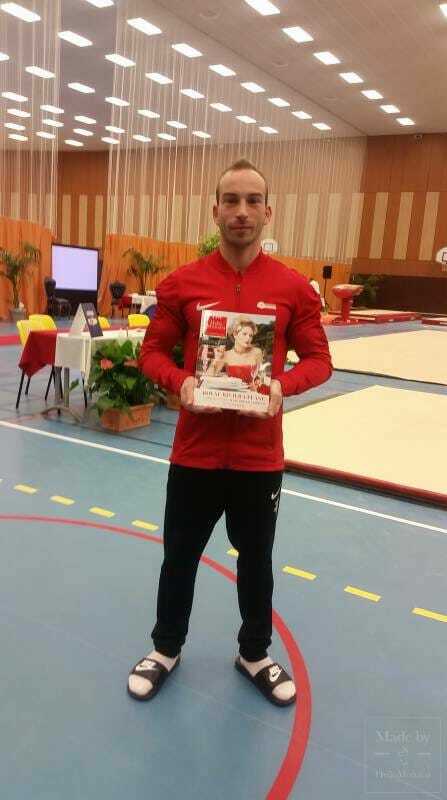 I consider gymnastics both as a sport and an education training. It is important to stress that this discipline involves young athletes in their entirety giving them precious life values to better respond to social and professional challenges. That goes beyond being a champion or not. I refer to a healthy and ruled lifestyle. If our alumni will succeed in this, we would really accomplish our best target. At sport level, I will be training them until the very last stage of TOP 12 with the same enthusiasm pushing them to do their best. That sounds as a gift for me. And what about the TOP 12 protagonists? HelloMonaco interviewed some relevant athletes. HelloMonaco: Lilian (L.P.), what do you feel about your performance? L.P.: I am very happy we achieved the necessary marks for admission to the Semi-finals as a result of a team cooperation and a tough training that commits us every day for several hours according to personal timetables. The idea is to do it together as far as possible to create a really cohesion that made us be friends besides being teammates. After all this time together, we feel part of a sole community. That matters both in joyful and hard times. HelloMonaco: Ferhat (F.A. ), what about being in this club? F.A. : Despite having entered in Monaco club only a few months ago, I am so happy being part of it. I feel completely at home and I consider the “Étoile de Monaco” as a family that supports me. I am honoured to compete at TOP 12 in Monaco which is an amazing Country. I started practicing this sport when I was about 9 years old, quite late, but my daily efforts (6-hour training) and a genuine passion brought me to high standards. Thus, I am proud of contributing with others to the success of such a historical team, hopefully until Finals. HelloMonaco: Julien (J.G. ), what does it mean for you to pass to Semi-finals? J.G. : This is a real pleasure celebrating this important goal with the whole team. We all knew that we could prevail in TOP 12 Championship considering the high standard achieved by each of us in every match. That motivates us to face our workouts with a strong sense of team based on solidarity and reciprocal encouragement that makes the difference while competing.